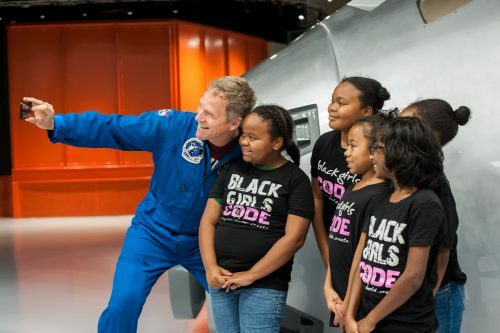 In celebration of the opening weekend of the film SOLO: A Star Wars Story, Walt Disney Studios and Lucasfilm recently hosted a private tour of the Kennedy Space Center Visitor Complex for several youth from the Organization of Black Aerospace Professionals and Black Girls Code. 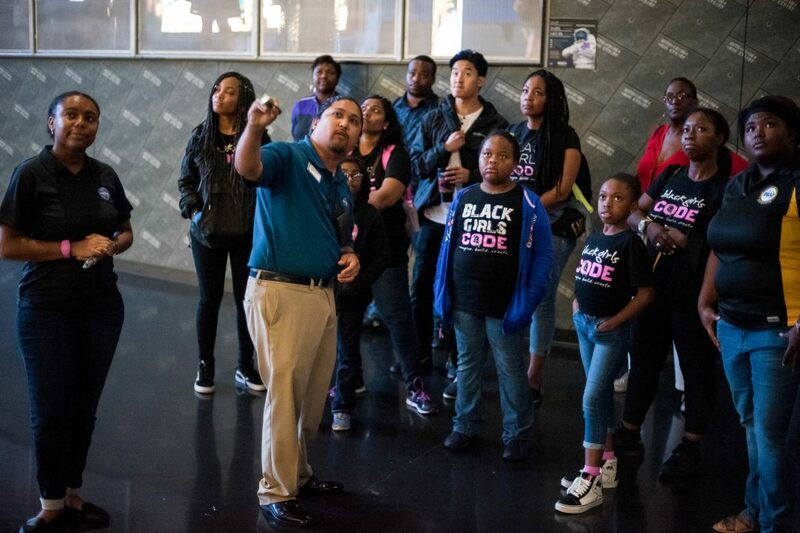 Guests were treated to a full day of touring and conversation that began with the NASA Now exhibit and 22-year-old Boeing engineer Tiera Fletcher, who discussed Aerospace Engineering and the impact it has on launching rockets. Following the Q&A, guests ate lunch in the Orbit Cafe and then set out on a two-hour tour of the Complex, which included a Space Shuttle Atlantis video and a walk and talk down the orbiter with Tiera and Kennedy Space Center Communicator, Paul Regencia. The students crawled through a scale model of the International Space Station and then “landed” their tour of the Space Shuttle Atlantis by taking a slide to the first floor (this slide is situated at a 22-degree angle – the same angle in which the space shuttle returns to Earth when landing). 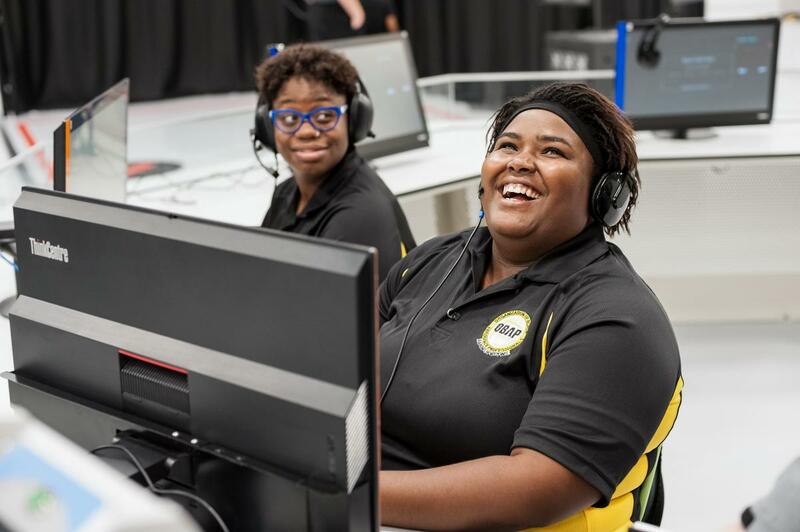 Students tested their skills during the Astronaut Training Experience during the “Land and Drive on Mars” simulator, where they also met five-time space shuttle astronaut Scott Parazynski (two of his space shuttle flights were aboard the Atlantis). 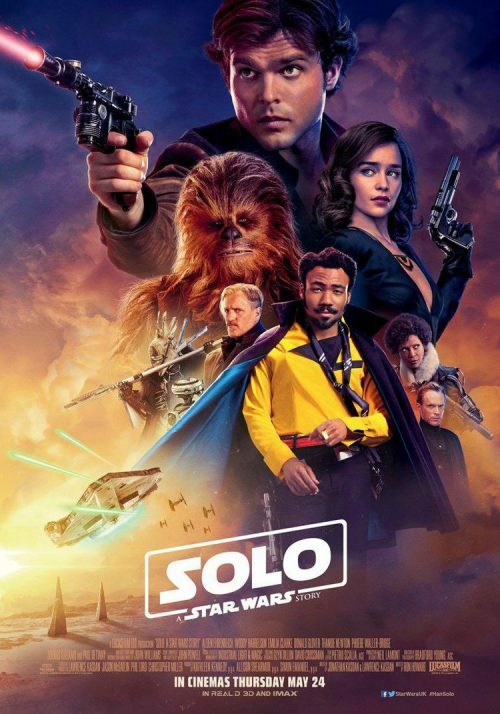 The day closed with Tiera speaking to the group about the importance of coding, after which the Kennedy Space Center gifted everyone with goodie bags and Disney treated the students to Lando Calrissian dice and a pair of Fandango passes to see SOLO: A Star Wars Story. 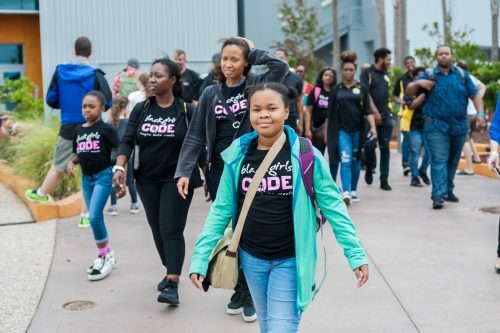 Students later departed Kennedy Space Center Visitor Complex and headed over to Walt Disney World to participate in an unforgettable Galactic Nights experience! Just Announced: Free Sample Sunday at Edible Arrangements!